The Pokemon Go Rock-type event has finally drawn to a close for the second year in a row, taking with it all the various benefits to Rock Pokemon you could obtain while the event was on. In this Pokemon Go Rock event guide, we'll be running through all the various features of the limited event while it was on. We have a wealth of other guides articles on Pokemon Go here at USgamer, exactly like this one, which can all be found in our guides walkthrough hub for Pokemon Go. This hub features articles such as explaining how the Buddy system works in the game. Although the Pokemon Go Rock-type event kicked off back on May 24. It's unfortunately come to a close as of June 5. Keep in mind that this was the second time that the Rock event for Pokemon Go was running, after it debuted back in 2017, so there's always a chance that thr event could return next year, in 2019. On top of this, your selected Buddy Pokemon will give you Candy after just a quarter of the previously-required distance, drastically increasing the rate at which you can earn the item. The announcement also stated that you’ll gain extra items when visiting PokeStops, so make sure to pay your local stop a visit. If you need help with other areas of Pokemon Go, then why not head over to any one of the other guides we’ve got here at USgamer. These guides cover topics such as how to earn XP and level up faster, as well as how to calculate the strength of each of your Pokemon. We've also got all the info you need to evolve Eevee in Pokemon Go. 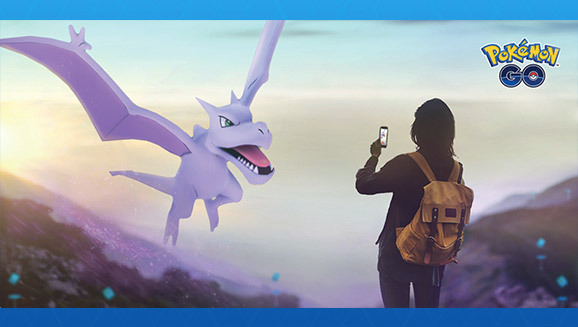 Make sure to keep an eye on this guide, as we'll be updating it with any additional information or changes to the Rock-Type event for Pokemon Go that Niantic or Nintendo make over the coming week.